At least 15 inmates have escaped in a jailbreak that occurred at Nsukka Prison in Enugu state.Quoting a source at the prison, NAN said the inmates broke their cells and scaled over the perimeter fence late Tuesday. Lawrence Okonkwo, controller of prison, confirmed the jailbreak but declined to give the number of inmates that escaped. “Yes there was a jailbreak last night in Nsukka prison but I am not in a position to say how many prisoners escaped,” he said. “We are expecting the Enugu state prisons controller, Mr Isaiah Amariri, in Nsukka prison so that we brief him on what happened last night. However, unconfirmed reports say that two escapees had been rearrested. 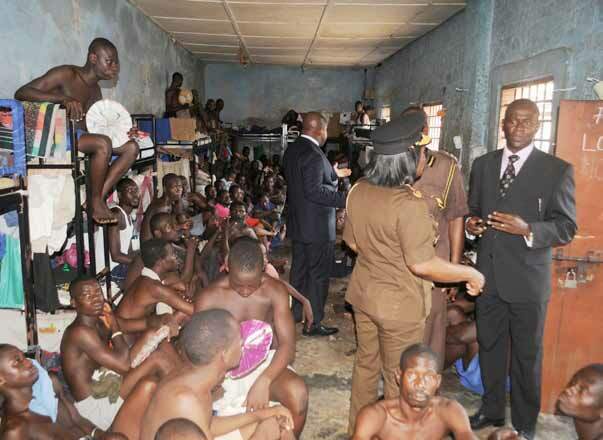 Officials of the Nigeria Prisons Service were seen in parts of Nsukka and its environs on Wednesday searching for fleeing inmates.